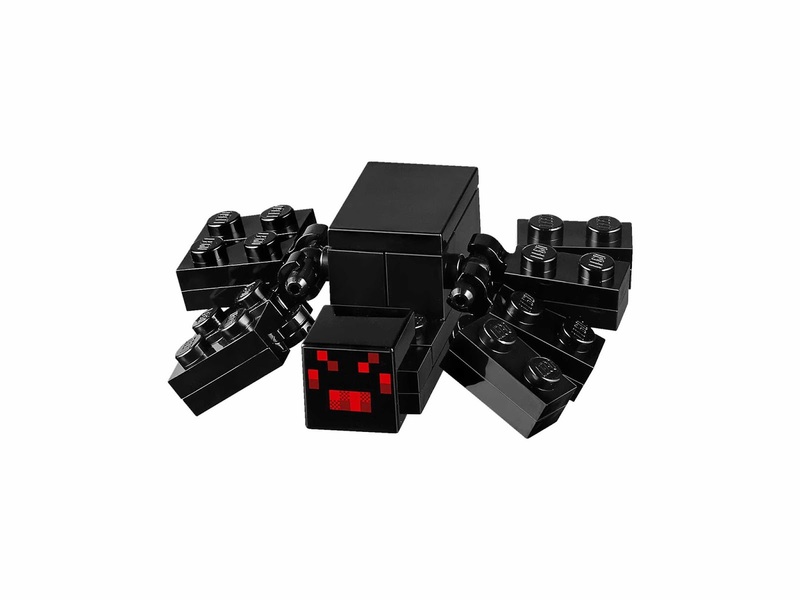 come with the ice spikes. 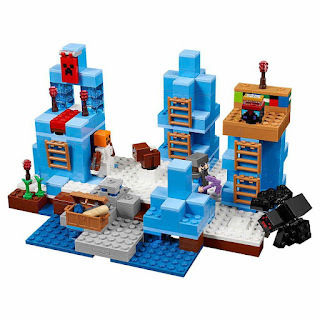 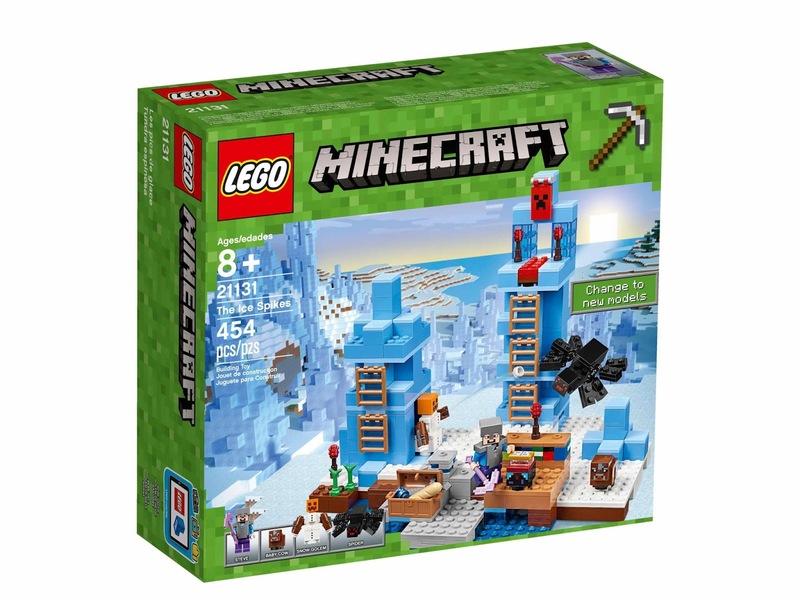 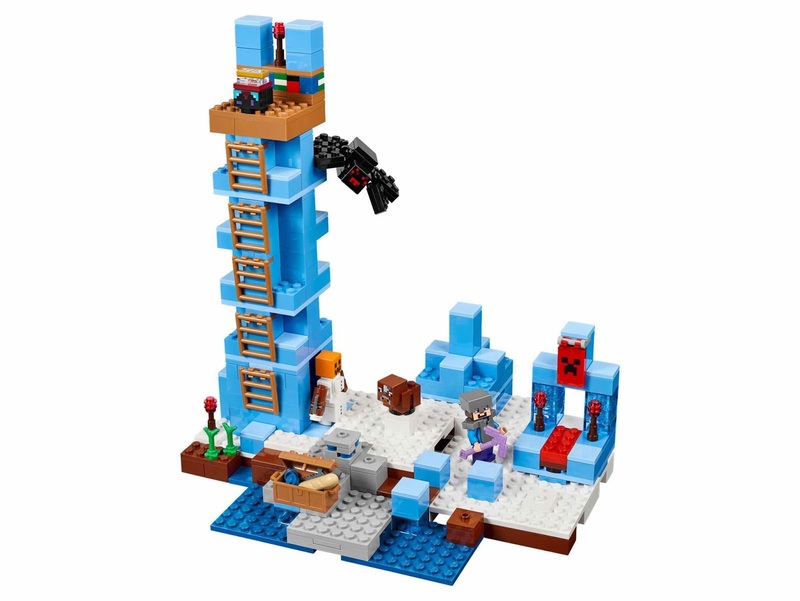 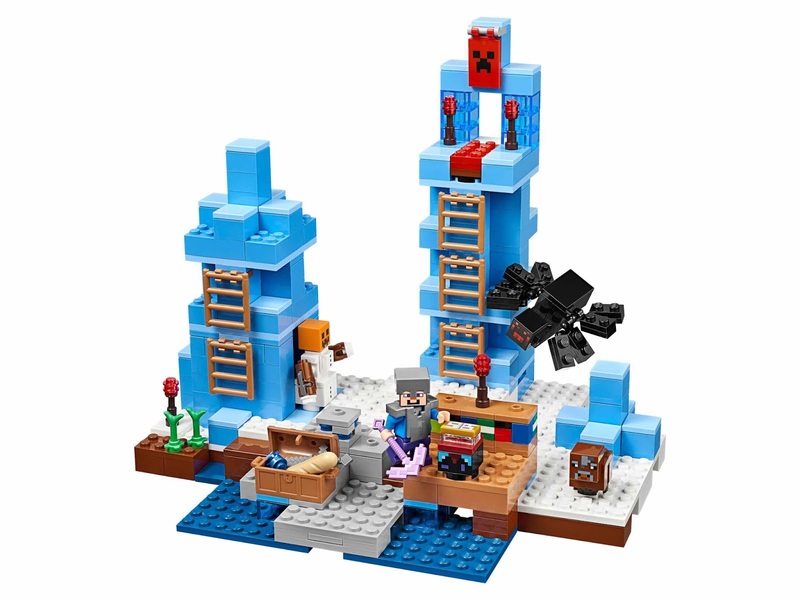 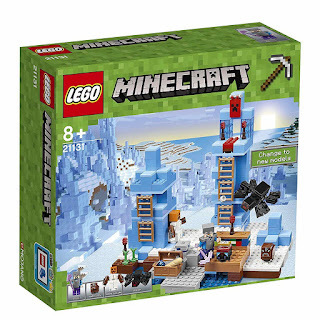 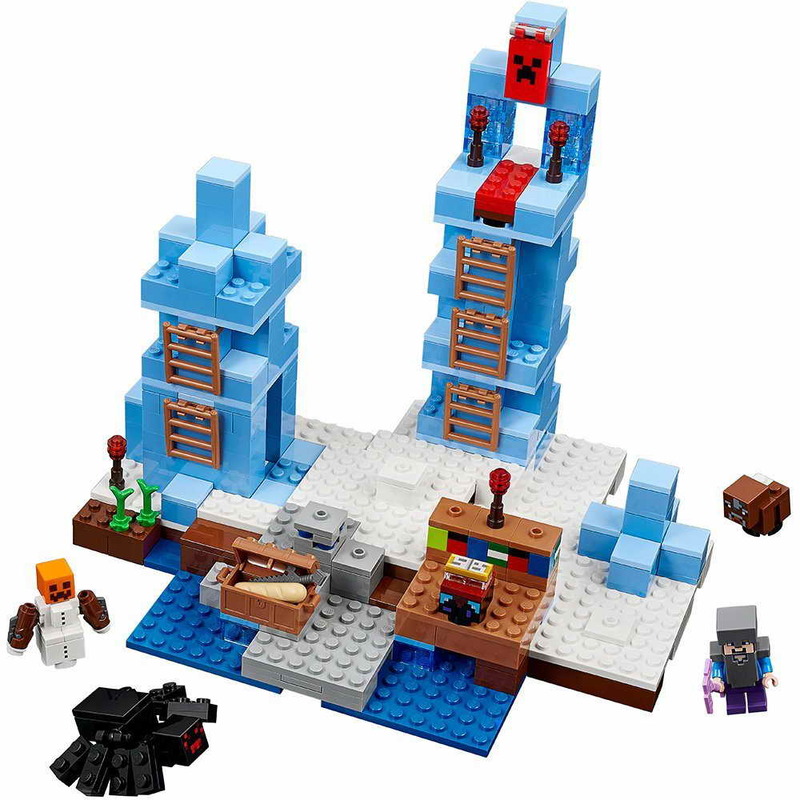 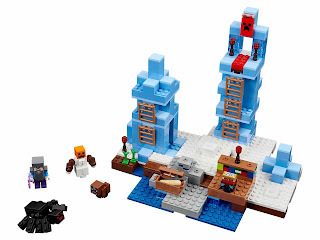 the ice spikes has tall ice columns, a library, an enchantment table, ladders and a shelter with a bed. 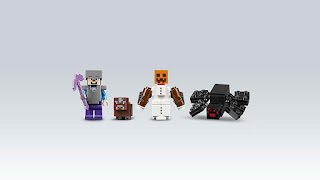 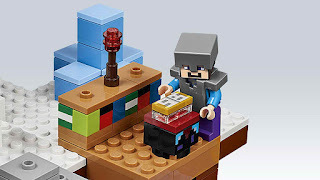 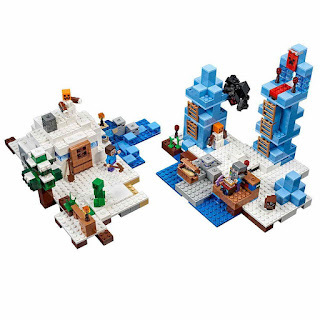 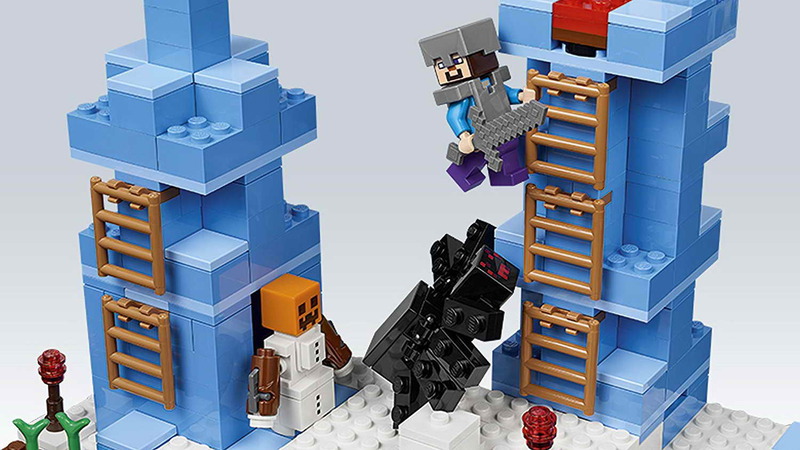 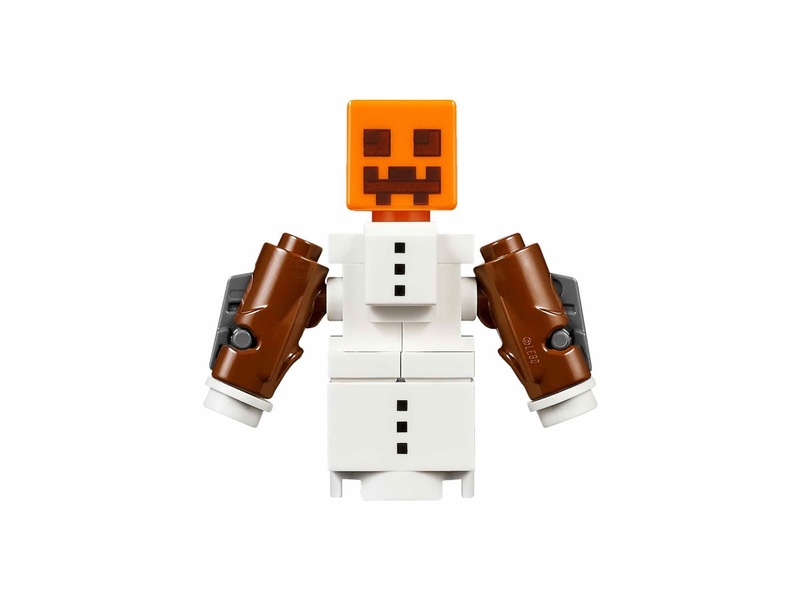 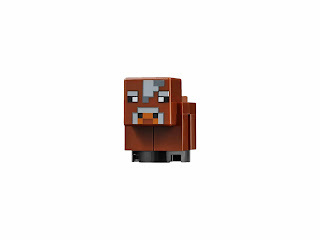 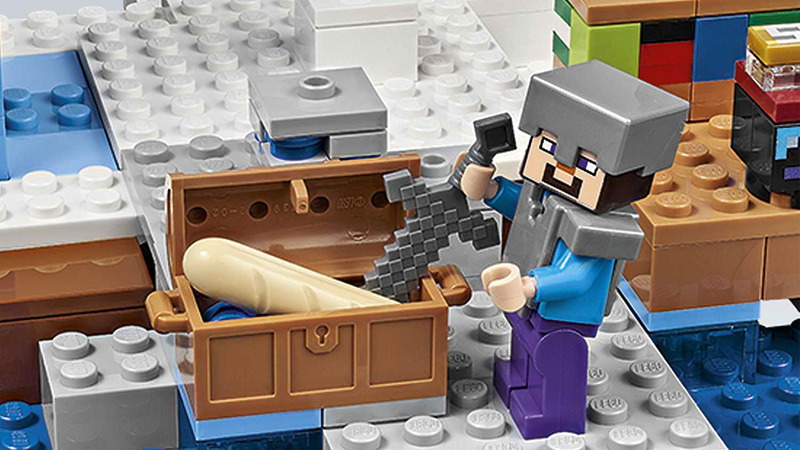 minifigs included a steve minifig and a snow golem minifig.